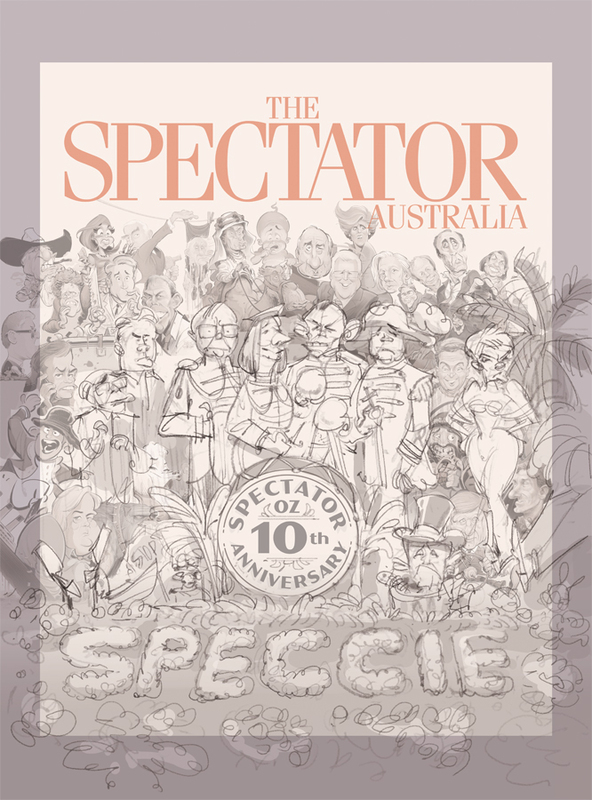 This week marks the 10th anniversary of The Spectator Australia. I started illustrating under editor Tom Switzer in April 2010, and have continued to draw cover art for current editor Rowan Dean and art director Sarah Dudley. It's always a fun and slightly hectic day of illustration mayhem getting from concept to finished art in around 24 hours (with some sleep in between!). Thankfully for this week's cover I was afforded an extra couple of days, as it's a big one: an homage to The Beatles' classic Sgt. Peppers Lonely Hearts Club Band artwork. 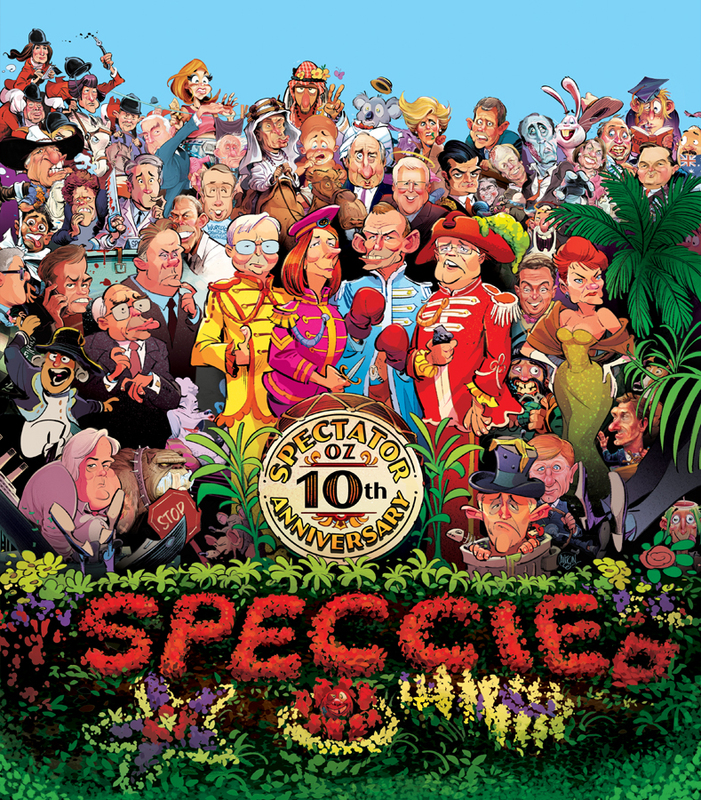 I created the main art, and then populated the background with some of the Aussie personalities and characters I've drawn for the 'Speccie Oz' over the last eight years. Feel free to read James Allan's feature article, as well as a look at a few of the covers Dave Follett and I have helped create over the years.